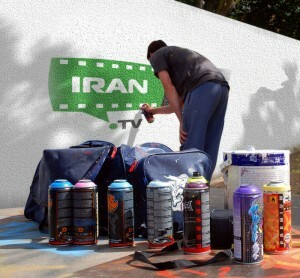 Iranmusic.TV is a breath of fresh air when looking for the Persian Music Video you want to see. It’s chock-full of the latest Persian Music Videos in smooth-playing full-screen HD and is searchable by several categories. In a world of cluttered video-content websites riddled with too much information, Iranmusic.TV cleanly, quickly and easily allows you to browse and view the latest persian music videos and upcoming concerts in two mouse clicks. Artist: NADIM Song: BE ESHGHE DIDANET Label: MYSTERY4 RECORDS Director: MOHSEN BAGHI Executive Producer: ARMIN HASHEMI www.facebook.com/mystery4 © 2013 Avang Music Co. All Rights Reserved.